What will the equipment on my property look like? Can I use my own Wifi Router? How do I get a Gisborne Net email address? 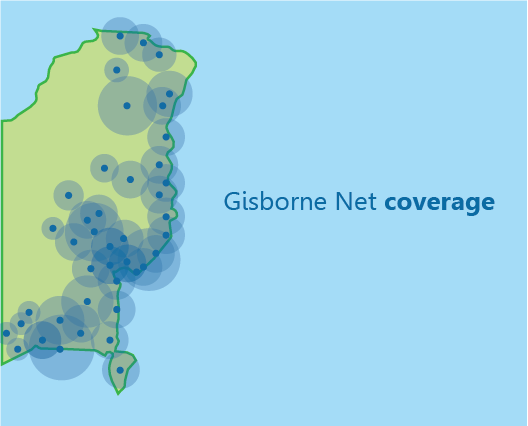 I’ve been told there is currently no Gisborne Net coverage in my area, what do I do next? Gisborne Net uses a land based microwave radio network to deliver fast, low cost internet. We provide fast broadband connections throughout the East Coast and Wairoa regions. 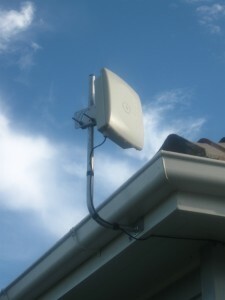 Our Network of repeaters provides coverage to most areas of the East Coast, Gisborne and Wairoa Regions. 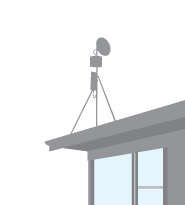 However you will need to contact us and check that your property has line of sight to one of these repeaters. Installation charges vary depending on the area and complexity of the installation. Contact us for further information. Gisborne City uncapped data plans start from $65 + GST per month. Rural plans start at $75 + GST per month for uncapped data. Business and School plans POA. You can use your own Wifi Router, or you can purchase one from us. If you are using your own Wifi Router, it should be used in a bridge configuration (we can set this up for you). You must be a current Gisborne Net customer to get an email address through us. Please contact us with your preferred username and password and we will set it up for you. Gisborne Net customers can have 2 Gisborne Net email addresses at no additional cost. We are constantly expanding the network and adding repeaters so we will note your interest in our database and contact you should the situation change.